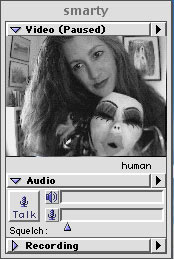 1996 – First online course taken at ASU, under the guidance of Professor Marina McIsaac, focusing on Technology in the Classroom using FirstClass software. 1997 – Began teaching an online course called Gender and Ethnicity Issues in Education as my practicum, under the guidance of Dr. Marina McIsaac at Arizona State University. This class integrated the course delivery application FirstClass with a supplemental website based resource center – I later also included iVisit into the delivery method to facilitate lectures by external scholars. I served as instructor for this course from 1997 – 2000, and then developed other online courses such as Online Pedagogy: Theory and Practice, The Gifted Learner Online (both at ASU) as well as a mixed reality course called Experimental Media for Ohio University. 1998 – Collaborated with Drs. Susan Kozel and Lizbeth Goodman of the Institute for New Media Performance Research (INMPR) at the University of Surrey, UK on THE EXTENDED BODY PROJECT, linking performance studies students between NYU and University of Surrey. The online video conferencing application iVisit was selected as our shared connective platform. This started my research into the relationship between individuals, the technology, and others, and the emergence of leadership. iVisit served as a generative research ground grounding some of my dissertation data, especially in contrasting text based environments vs video presence online. 2002 – Created my first game avatar, DEVISRI, on the Al’Kabor server of the Sony Online Entertainment game EverQuest. Devisri is currently a level 65 (top of the level progression) Necromancer who has been a part of a number of high end raiding guilds. 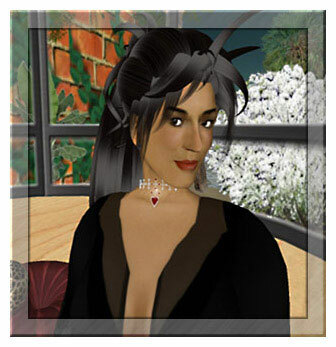 2003 – Created my first Second Life avatar – but abandoned it early due to insufferable performance issues of the Second Life experience. 2004 – Completed Ph.D. dissertation The Alpha Learner and Cognitive Haunting, focusing on the emergence of peer leadership in text based online learning communities based on both teaching online as well as my social immersion into and across multiple platforms. Experiences in EverQuest and iVisit helped to shape the final chapter of the dissertation, offering valuable insights from which to compare, contrast and project future outcomes for the consideration of the emergence of leadership. 2005 – Created my second online game world avatar, PHINNEY, on the Akama server of the Blizzard game World of Warcraft. The player-vs-player (PVP) online gaming experience offered a unique perspective from which to examine leadership as player dynamics and “battleground” arenas allowed for a more fluid exchange between “alpha” players. 2006 – Created Second Life avatar KATHERINE BARTH. Katherine Barth was a visible and active member of the intellectual community in Second Life as a regular contributor to the Worlds 2 Worlds digital culture speaker series. 2007 – Formed an enduring partnership with Ohio University’s College of Engineering and Computing Sciences to extend work being done in Second Life providing visionary, conceptual, and aesthetic leadership in Second Life projects originating at OU. This partnership opened opportunities for the submission of joint grant applications, including the $400,000 dollar WIRED Grant which we won to create cross-institutional workforce development workshops and bridge programs between our regional community colleges and OU.